Lucas Punkari/Daily Herald Kalci Gusdal rises in the air to spike a ball for the Carlton Crusaders during a semi-final game against the North Battleford Vikings during the Crusaders’ home tournament in September. Only a couple of days after they returned to the classroom, the Carlton Crusaders and St. Mary Marauders senior girls volleyball teams were getting back into the swing of things on the court. Both schools brought a pair of teams to the Carlton Physical Activity Centre this past weekend for a 10-team tournament that was hosted by the Crusaders. The Carlton 1 team made it to the semifinal where they lost to the eventual champion North Battleford Vikings, while the Carlton 2 squad won the consolation bracket over the Marion Graham Falcons of Saskatoon. 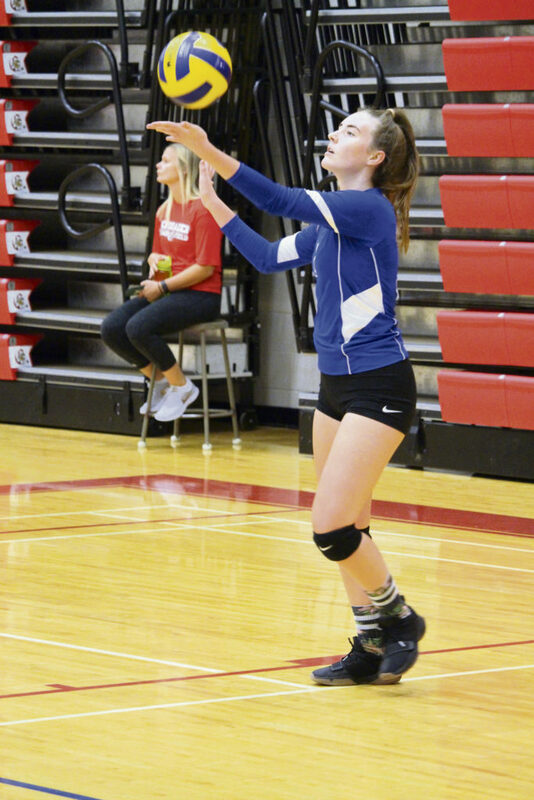 Ryla Iron prepares to serve for the St. Mary Marauders during a tournament game at Carlton Friday. Meanwhile, the St. Mary 1 team made it to the quarter-final round before losing to Carlton 1, while the St. Mary 2 squad suffered a loss to the Falcons in the consolation semifinal. 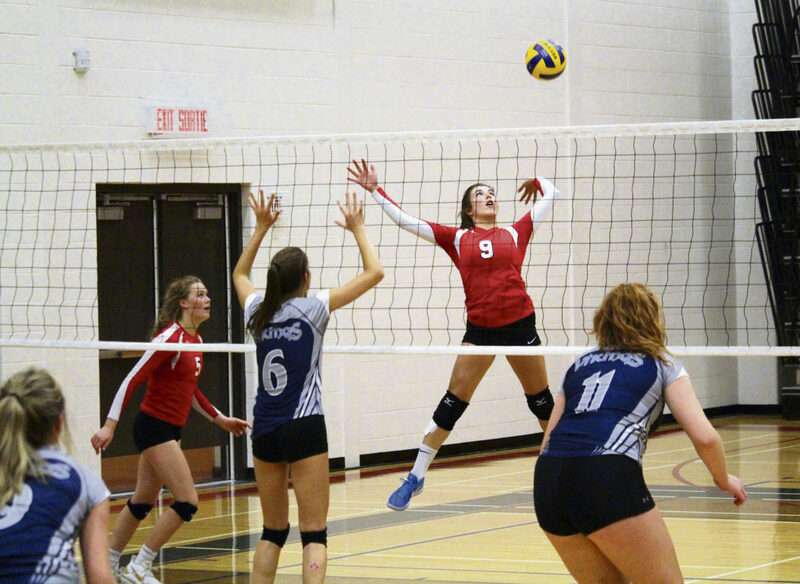 Both schools will be at a tournament in Warman this weekend and will be competing at St. Mary’s tournament next weekend as they gear up for the 5A girls’ provincial championships in Saskatoon in November. Meanwhile, the Crusaders and Marauders senior boys’ volleyball teams will be in action this weekend for an 18-team tournament at St. Mary.